Scan DSA 4-5 in a stone fireplace wood burning stove installation from Kernow Fires. There are a great many of these slate fireplaces in Cornwall and you will see on this page a number of ways they can be modernised. In this case we removed the original open fire and dug out behind and to the sides to make room for the Scan DSA 4-5 woodburner. 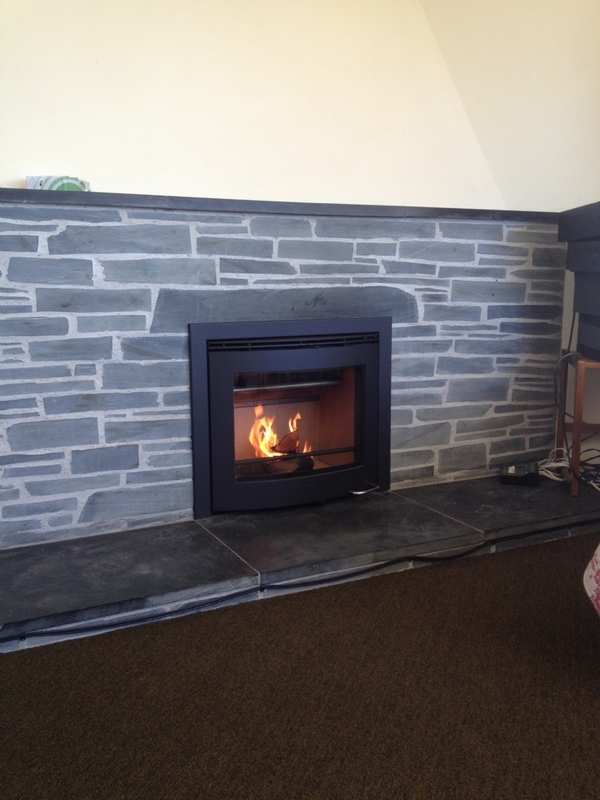 We increased the size of the slate lintel and replace the wooden mantel shelf with slate. Once the chimney was lined the fire was connected a slipped into place using the original hearth.